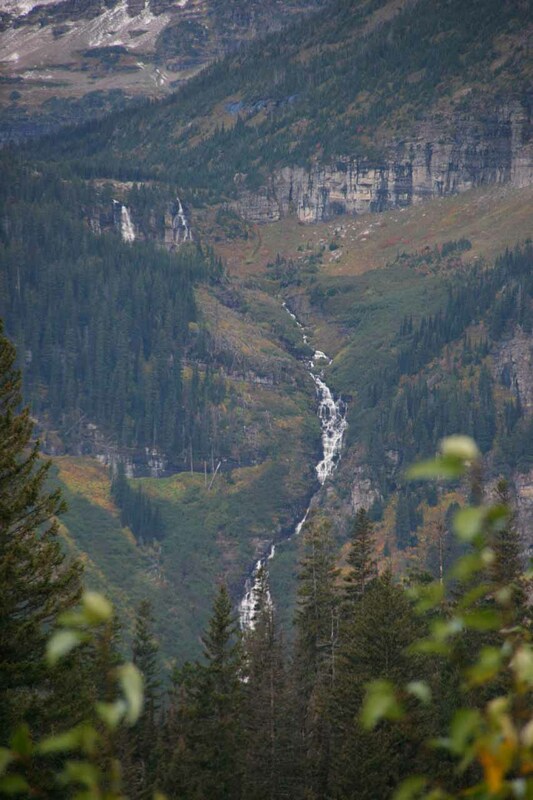 The Bird Woman Falls was perhaps the tallest and most recognizable of the waterfalls seen along the Going-to-the-Sun Road (also called the Sun Road for short), especially near Logan Pass. 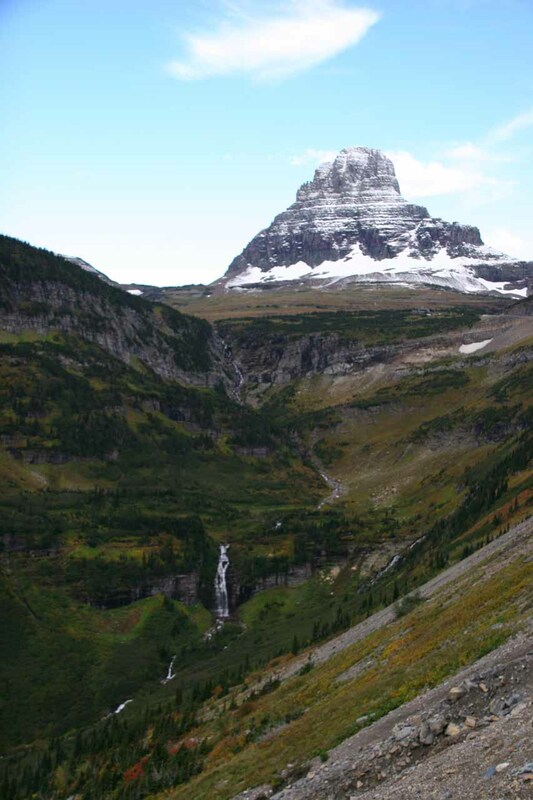 It was said to be 492ft high as it plunged off a hanging valley left behind by a tributary glacier that had since receded and disappeared before the main glacier responsible for the U-shaped valley between Mt Cameron and Heaven Peak also disappeared. 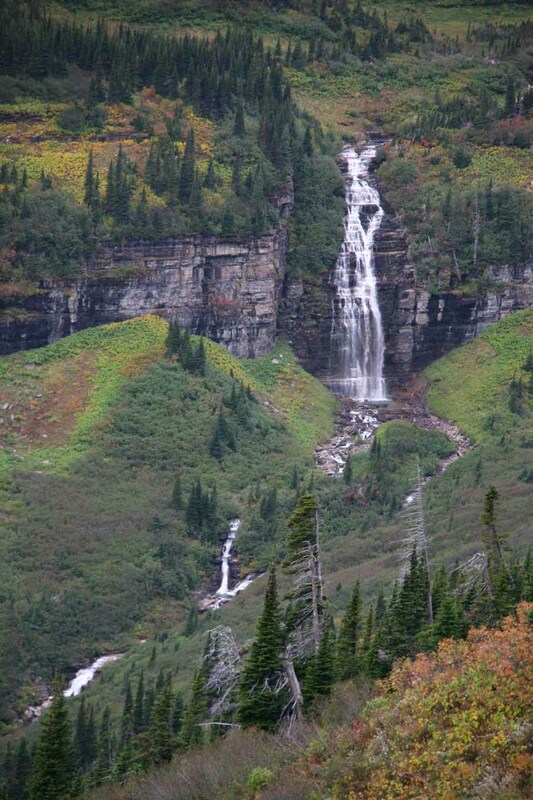 It was such a waterfall highlight that they dedicated several pullouts on the west side of Logan Pass to take in the views, but one of them had a signpost for the most direct viewing spot. 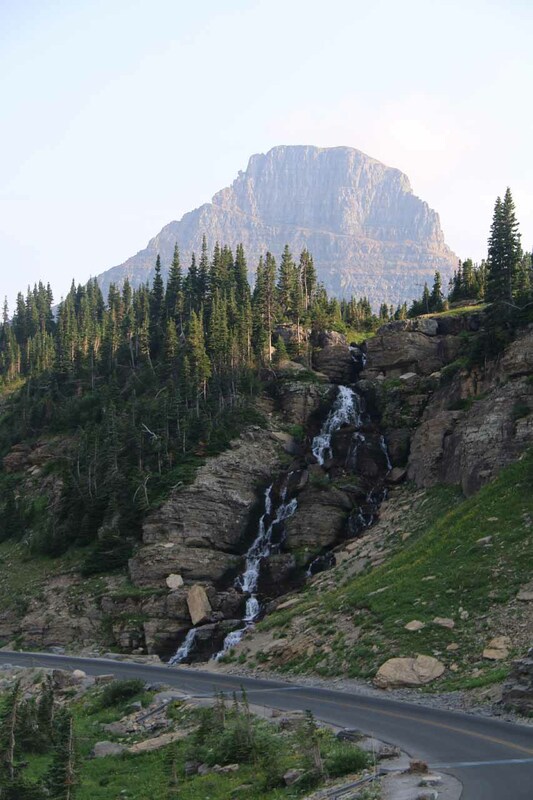 There were also many other roadside waterfalls along the Going-to-the-Sun Road, and this page was dedicated to appreciating these falls while also helping you to spot them out as you traverse the only road that cuts through Glacier National Park. 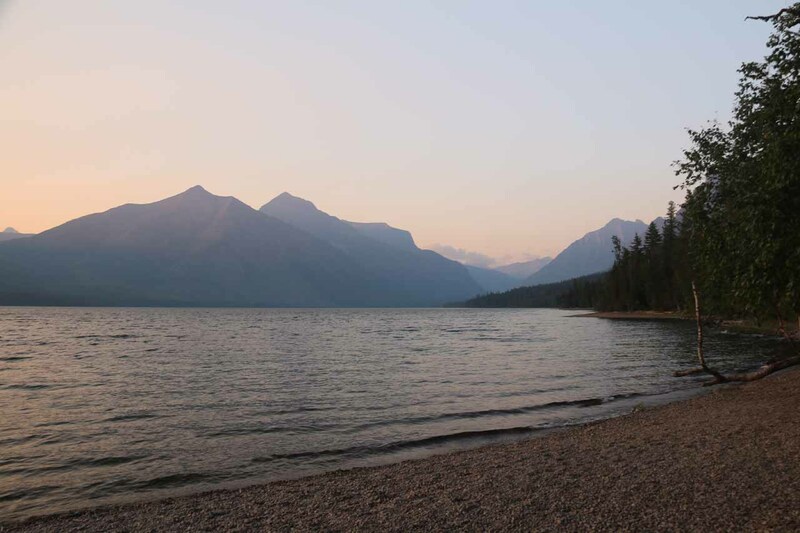 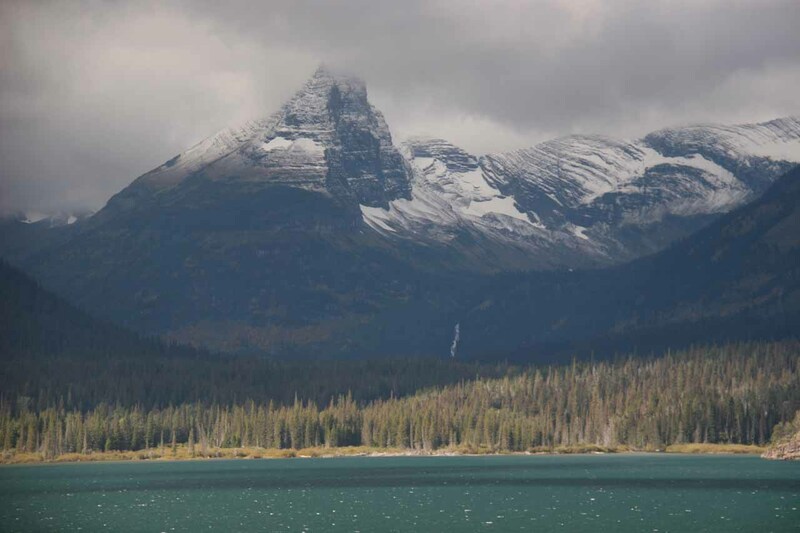 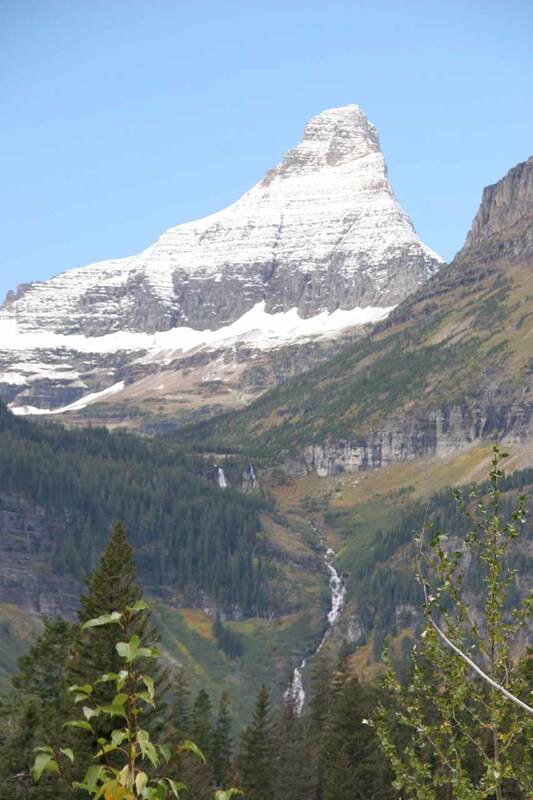 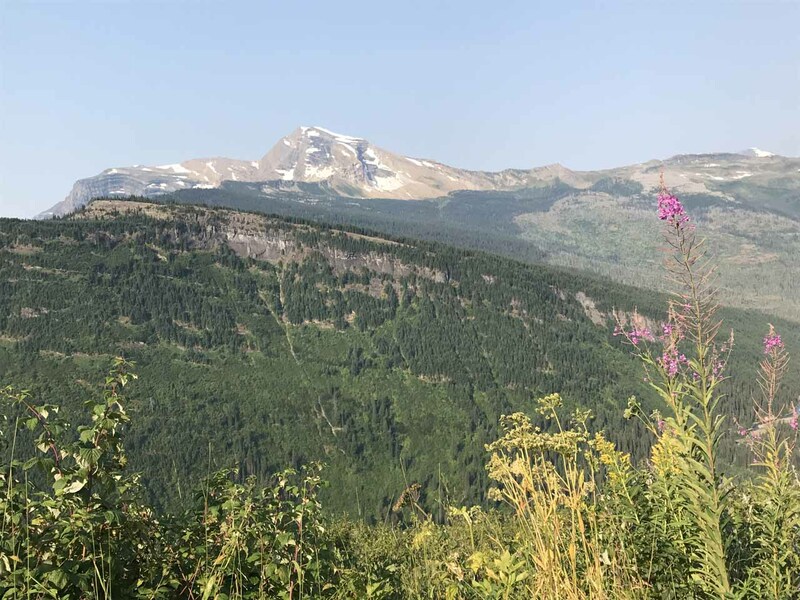 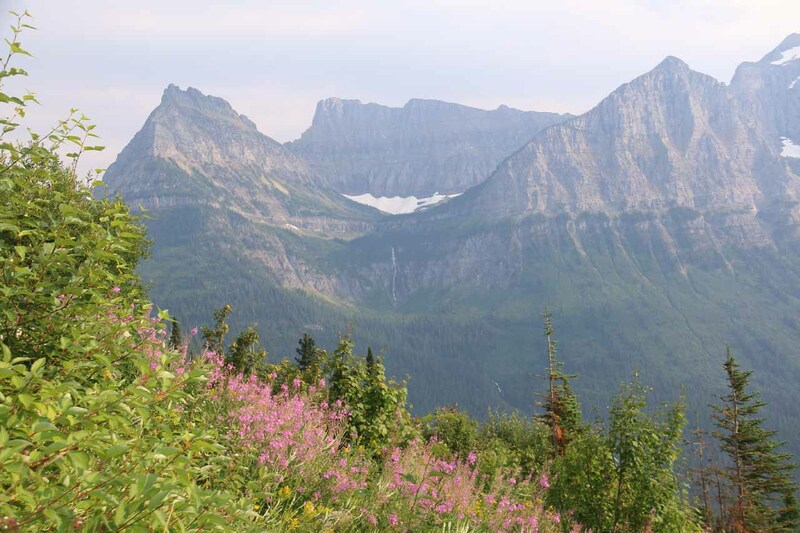 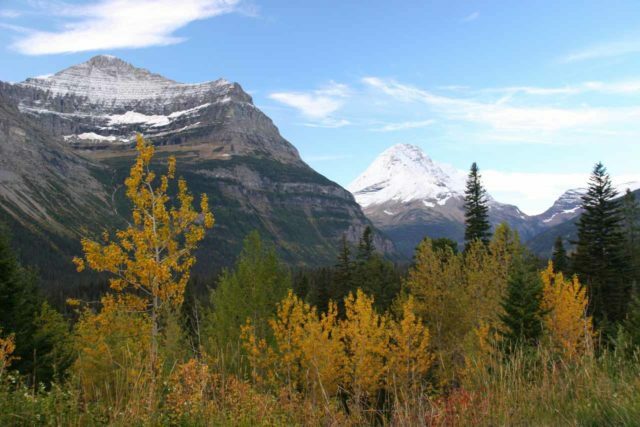 It would typically take about 2 hours to drive between West Glacier and St Mary (on the opposite ends of Glacier National Park) without stops, but it’s likely a typical visit would spend far more time than that due to views and hikes along the way. 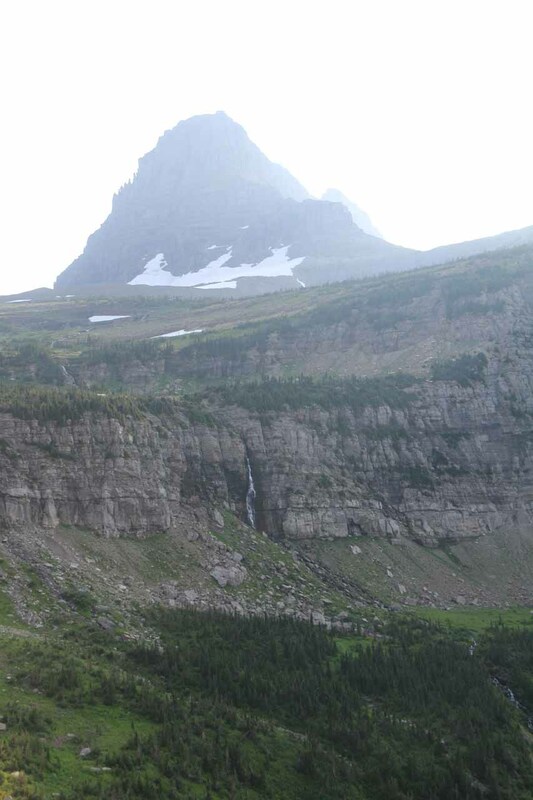 Below are the waterfalls we’ve managed to identify or visit during our trips to Glacier National Park. 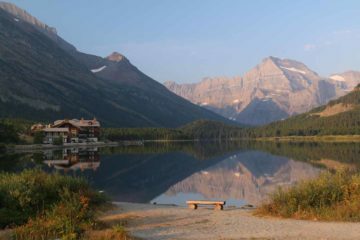 This list is going from east to west since we think this would be the best way to experience the park as far as vistas are concerned). 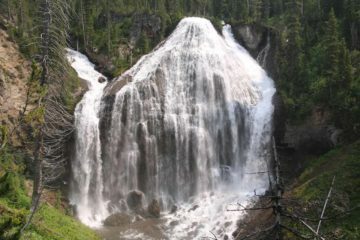 The waterfalls not directly visible from the road and/or requiring a hike each have dedicated writeups and are linked accordingly. 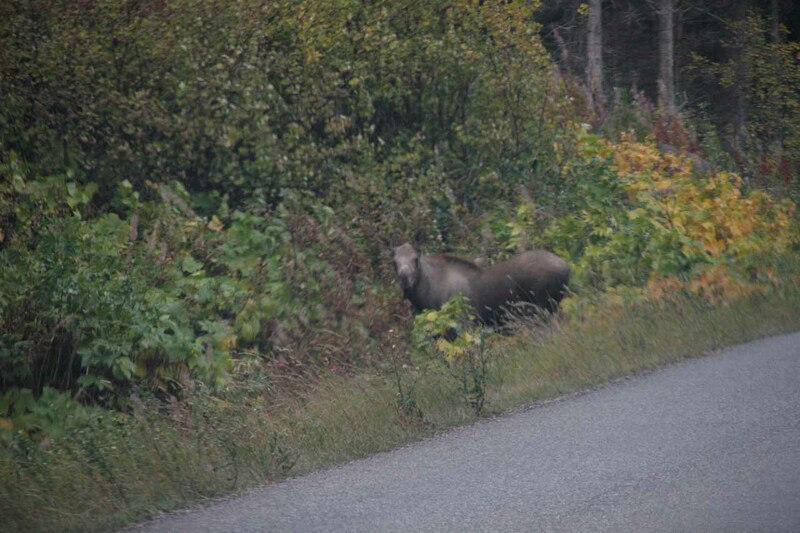 I’m sure there are still more I haven’t named, but these are the ones we’ve managed to identify while either cruising the busy Going-to-the-Sun Road or riding one of park’s shuttles. 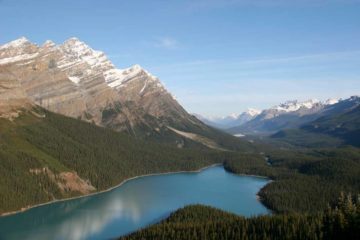 Most of the ones named above have pictures so you have an idea of what they look like as you make your tour. 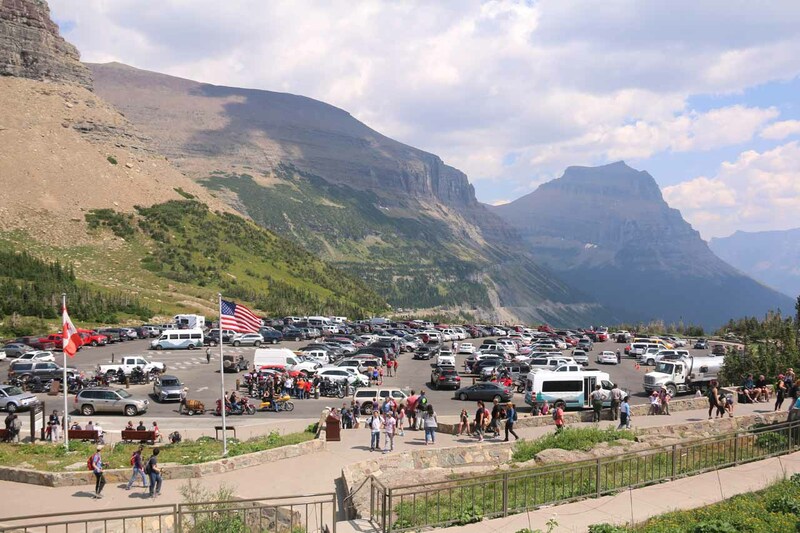 The National Park Service has also put together a nice series of short videos to get deeper into the points of interest on the Going-to-the-Sun Road. 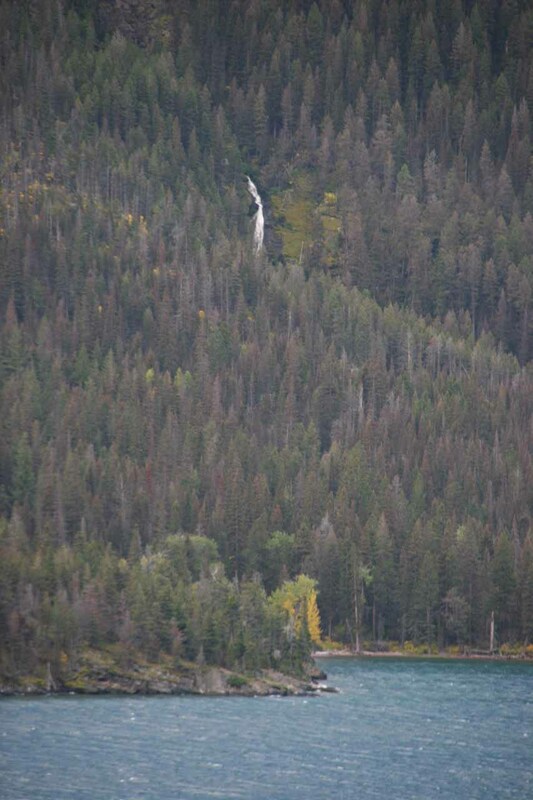 We actually had to wait several years before we finally got to experience the Bird Woman Falls and the neighboring waterfalls for ourselves. 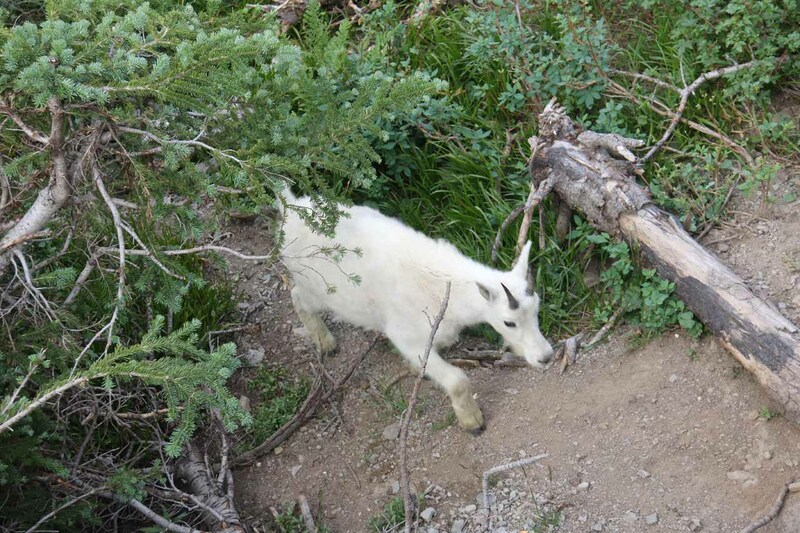 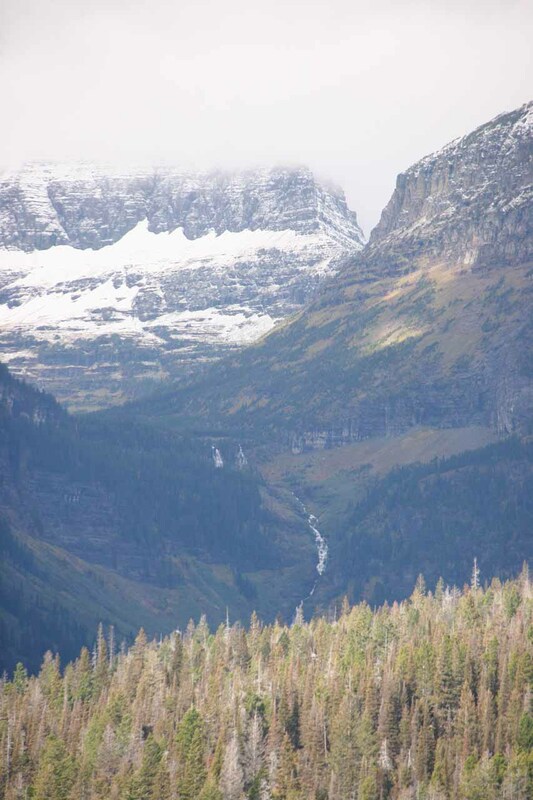 That was because on our first visit to Glacier National Park in September 2010, the road was closed from west of Logan Pass Visitor Center to Avalanche Creek. 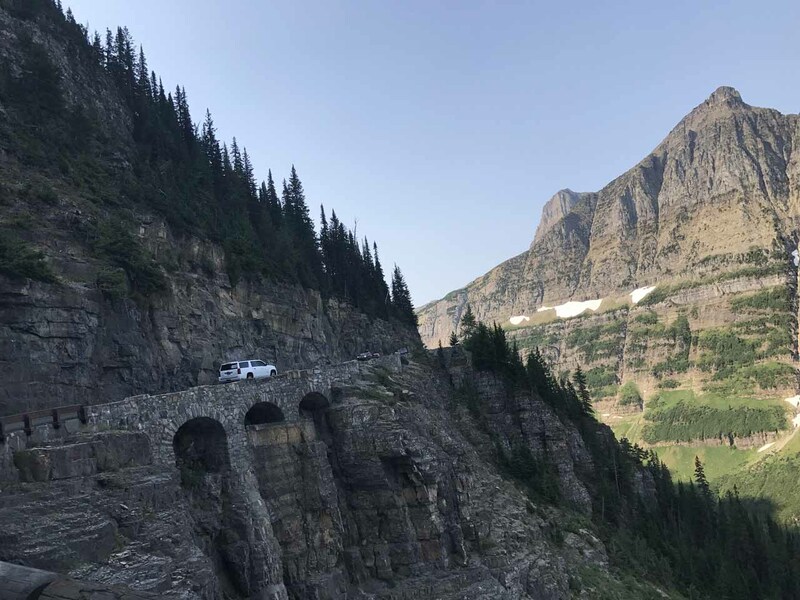 It wasn’t until August 2017 that we got to make a return visit, but it always seemed as if some part of the Going-to-the-Sun Road would be in a state of repair every year. 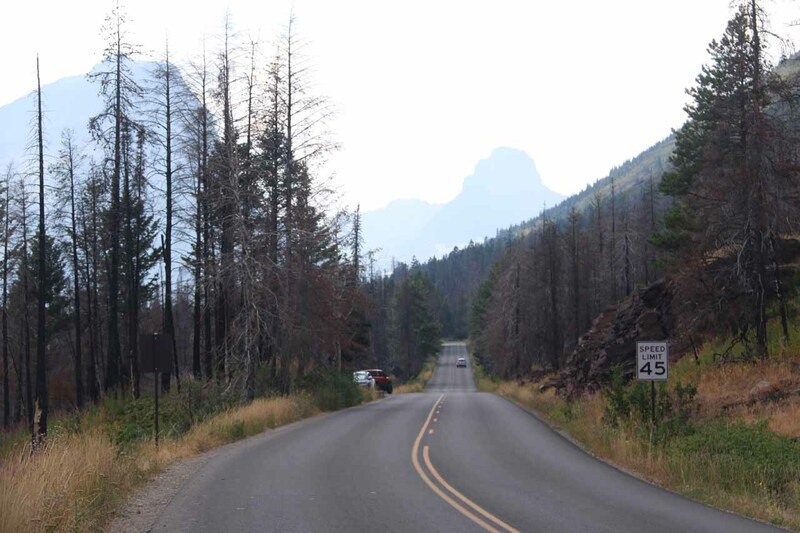 After overhearing a shuttle bus driver talking about the park’s lack of funds situation to keep up with maintenance and ever increasing crowds, we gained a better appreciation of how expensive it was to keep this road open. 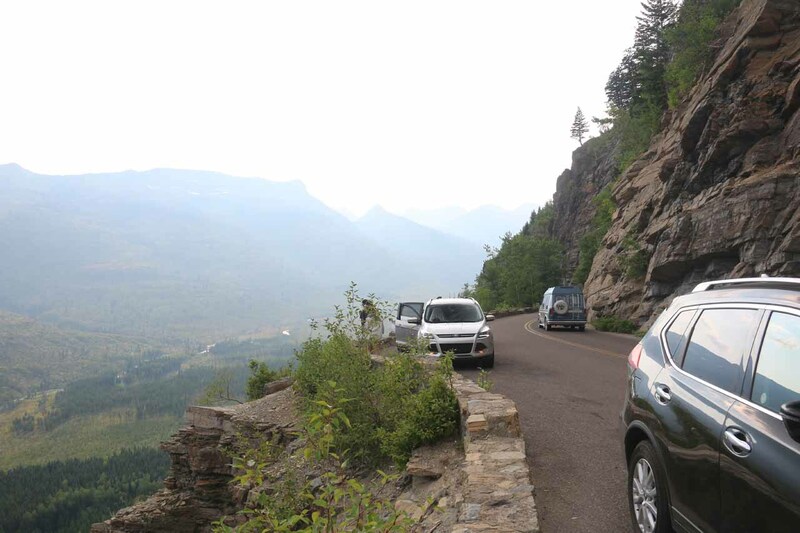 After all, it was full of narrow ledges and hairpin turns as well as cliff overhangs. 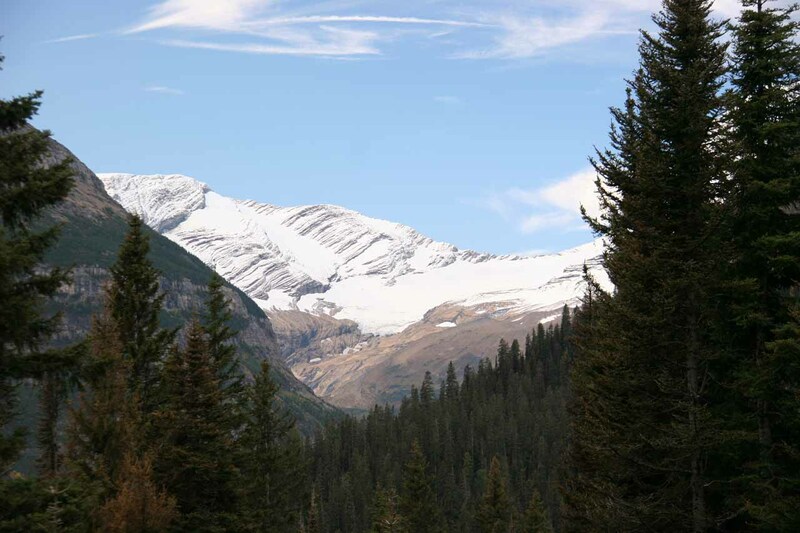 It was also prone to avalanches, heavy snow, and it was difficult to plow given the rugged terrain. 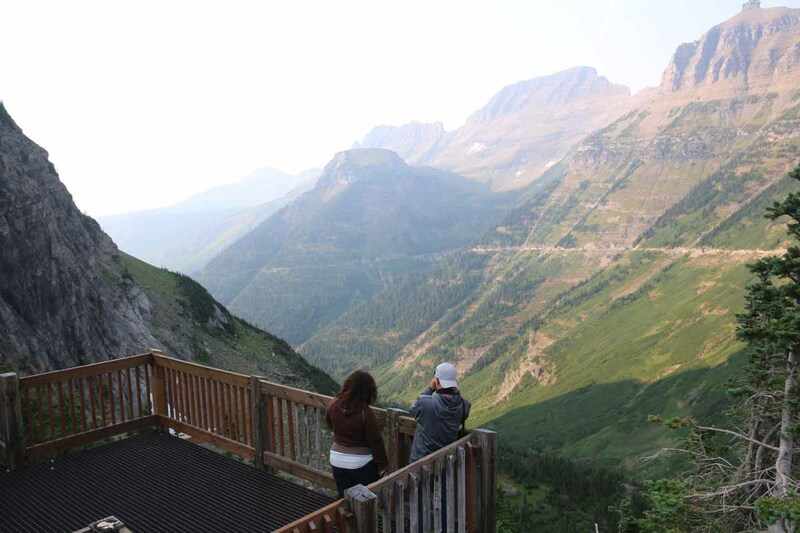 So it’s pretty hit-and-miss when it comes to whether you can get the complete experience along the Sun Road on a given visit. 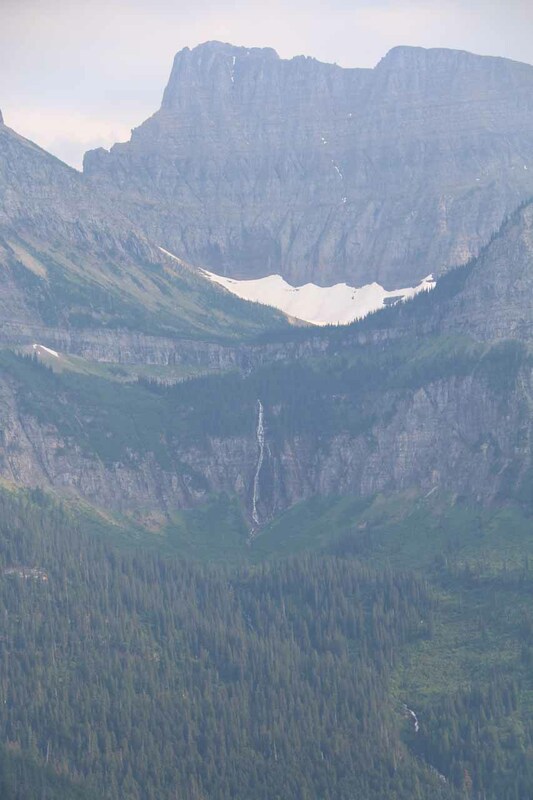 It took us two tries before we finally got to have the full experience. 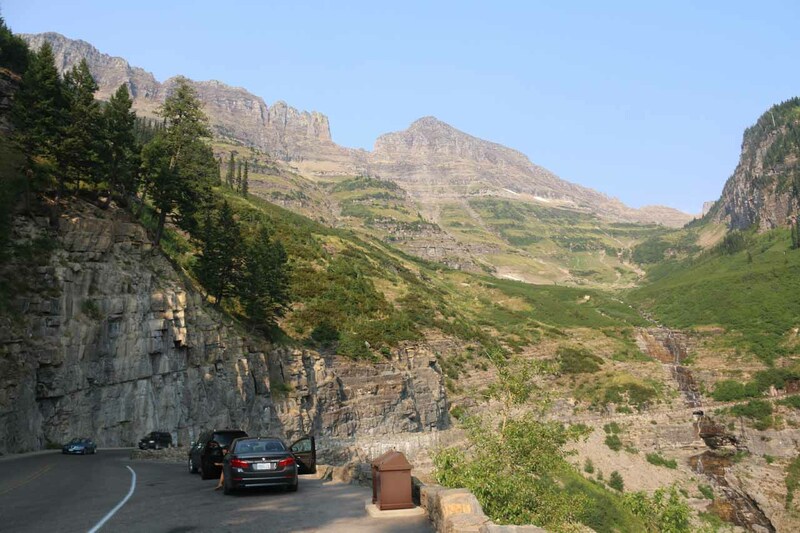 The Going-to-the-Sun Road wasn’t without its share of controversy. 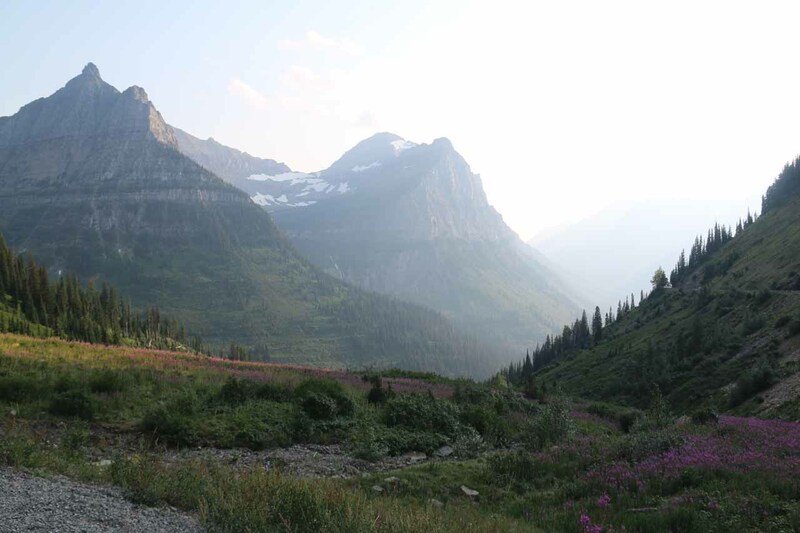 Conservationist, activist, and writer George Bird Grinnell (after whom many of the features of Glacier National Park were named) vowed to never return to the park after the Going-to-the-Sun Road was to be built, and he made good on his promise for the remainder of his life. 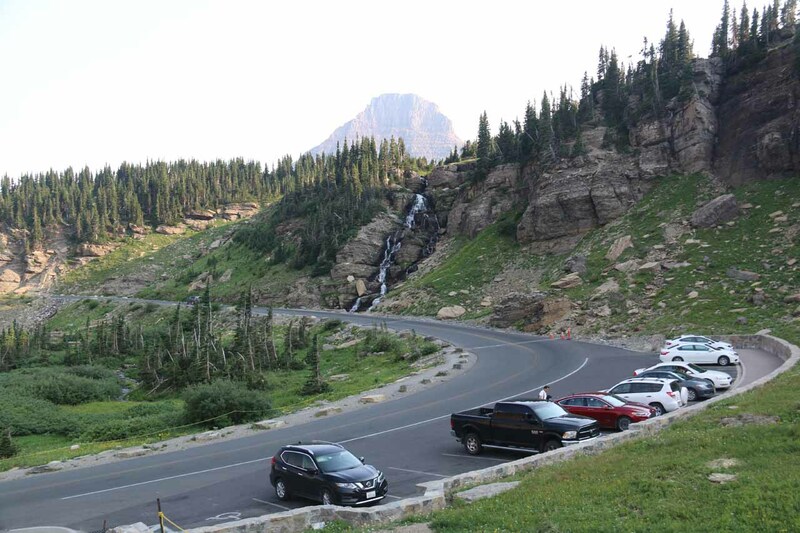 As a key advocate to properly protecting Yellowstone National Park’s wildlife and geysers, he was much against the idea of a national park designed with automobile tourism in mind. 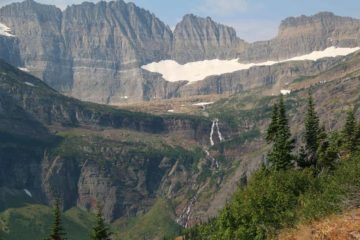 Today, with the difficulties that Glacier National Park was facing with lack of funds, ongoing and expensive maintenance costs, and overgrowding, the park seems to be at a crossroads in terms of how to keep the park accessible while also maintaining its viability to operationally stay afloat. 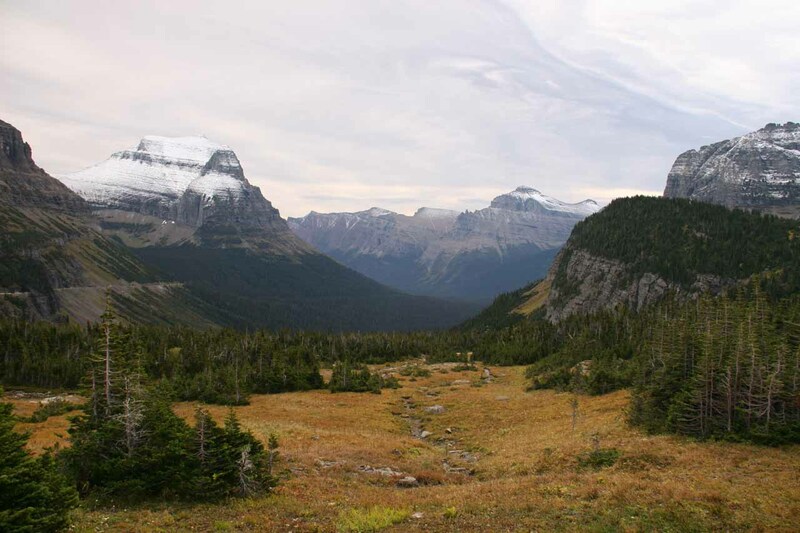 The opposite extreme would be to administer Glacier National Park like a wilderness park where Going-to-the-Sun Road would be more like a trail than a throughfare. 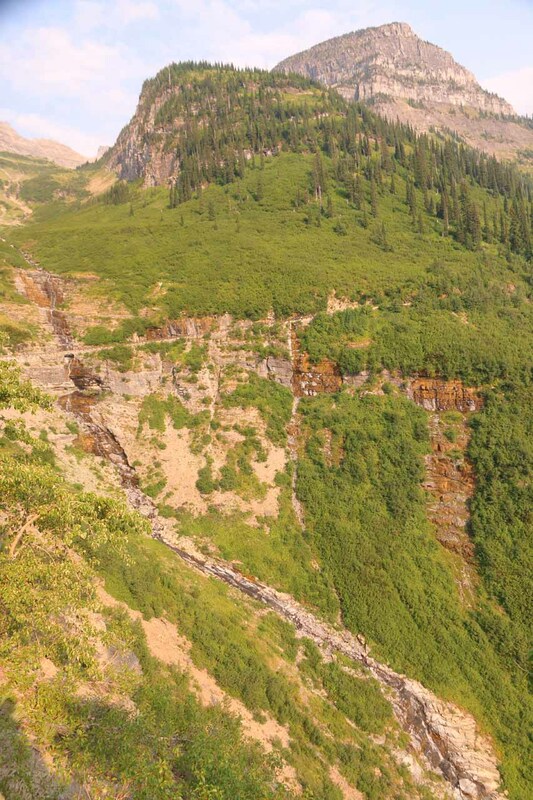 This would be much like the way Sequoia and Kings Canyon National Parks does not have a corridor to go across the California Sierras as they’re dominated by roadless wilderness. I’m sure there will be more to come on this topic in the near future, but you do have to bear this in mind when making your visit, especially given the park’s short season in the busy Summer months. 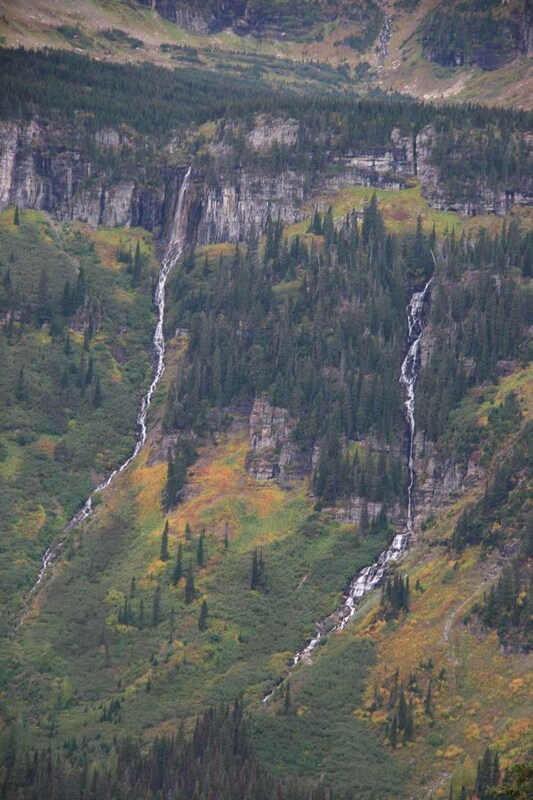 The waterfalls on this page were primarily seen on the Going-to-the-Sun Road between St Mary and West Glacier. 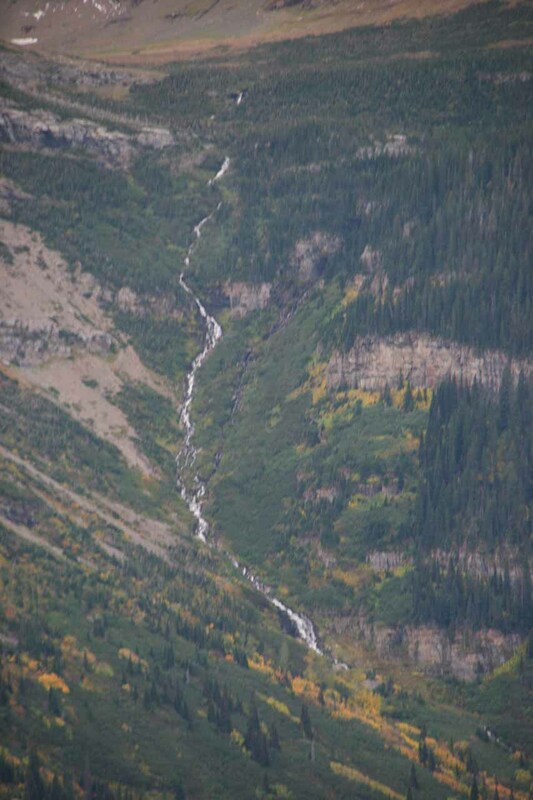 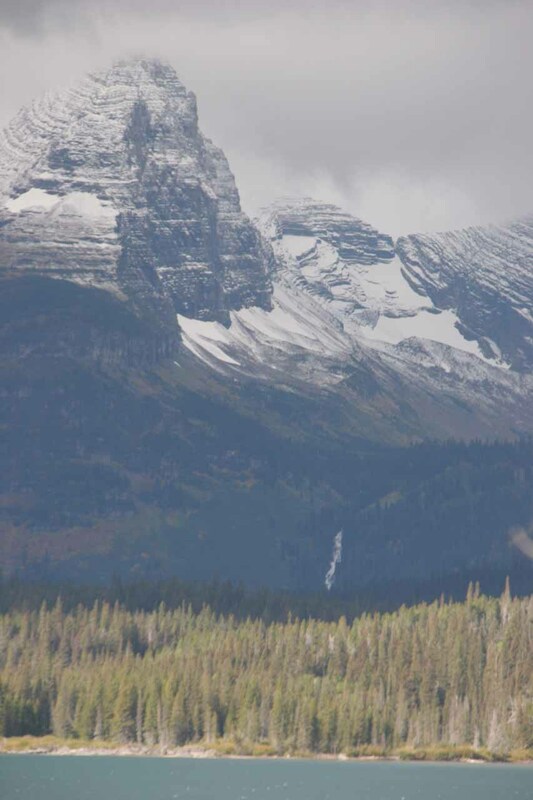 Most of the waterfalls were concentrated around the Logan Pass area about as far west as The Loop and as far east as the Jackson Glacier Overlook. 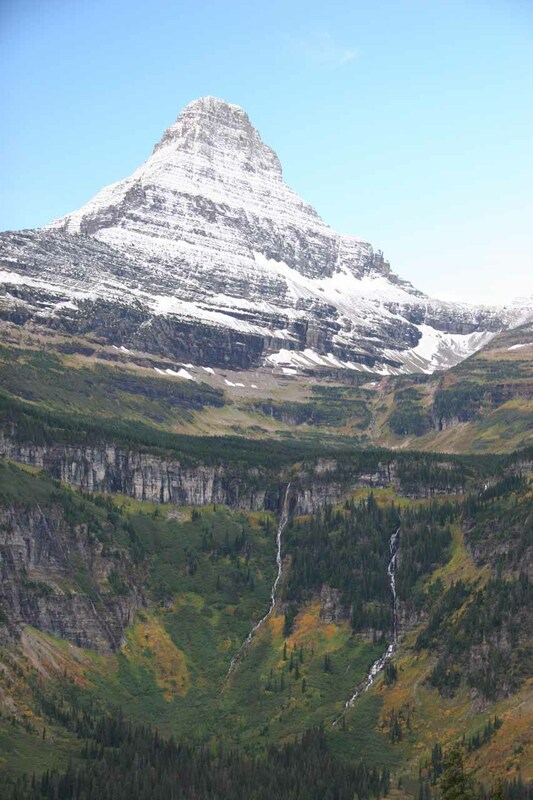 Logan Pass represented the mountain pass in the middle of the Going-to-the-Sun Road right at the Continental Divide. 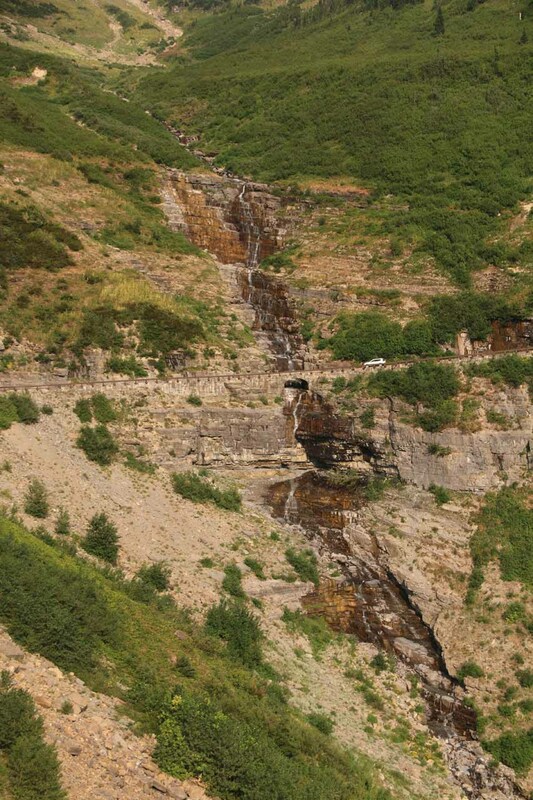 The map shown here pegs some of the roadside waterfalls that we’ve seen along this stretch. 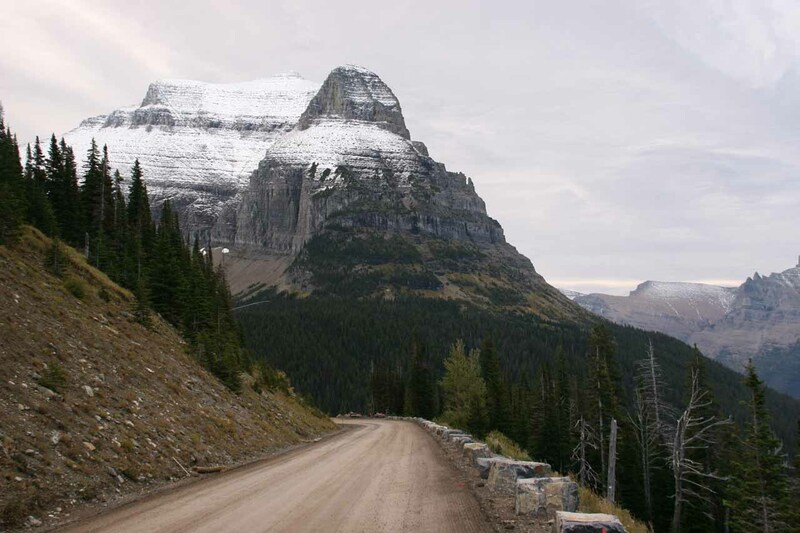 Rather reproduce someone else’s work, I found this website by Quirky Travel Guy that has a useful mile-by-mile pictorial guide of the points of interest along the road. 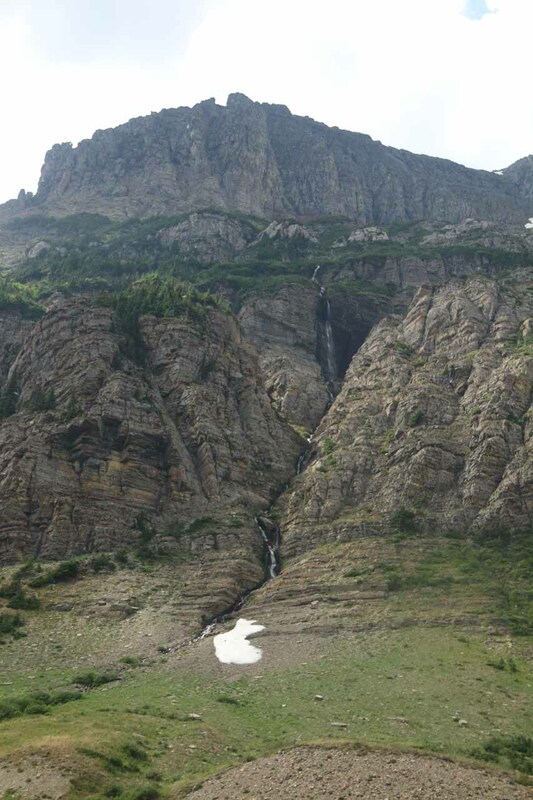 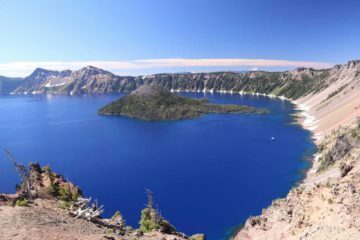 You can open up his website and compare side-by-side with the waterfalls in this page to get a sense of which waterfalls you’d like to target on your tour. 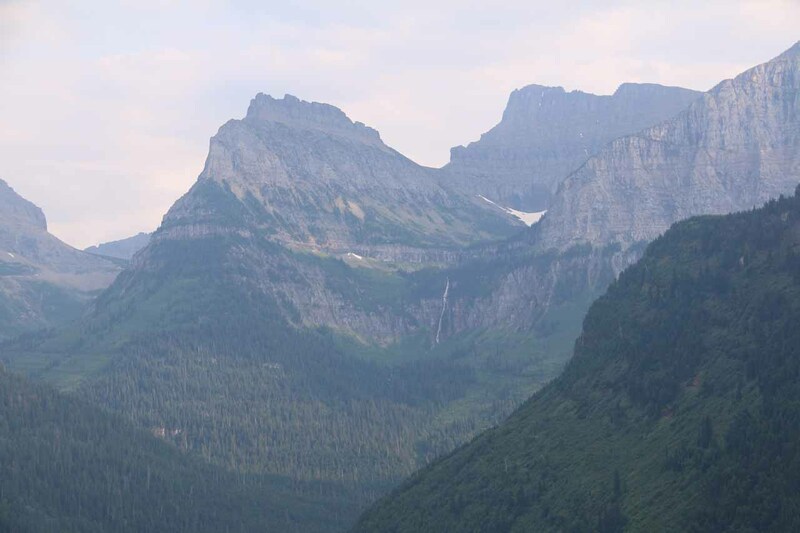 For additional context, West Glacier on the west end of the Going-to-the-Sun Road was 50 miles (2 hours) west of St Mary on the east end of the Going-to-the-Sun Road. 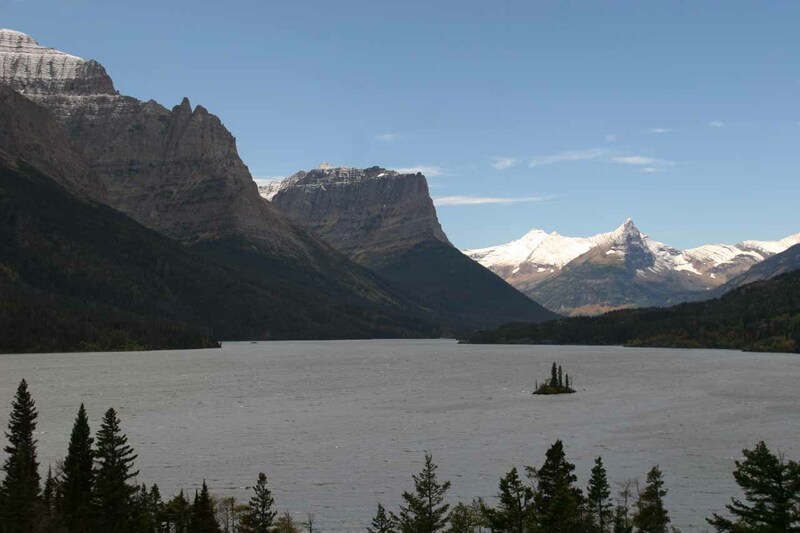 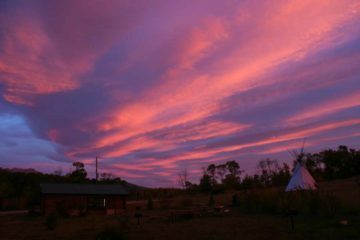 St Mary was about 8.5 miles (10 minutes drive) south of Babb, 30 miles (under an hour drive) north of East Glacier Park Village, 29 miles (over 30 minutes drive) northwest of Browning (administrative center of the Blackfeet Indian Reservation), and 202 miles (3.5 hours drive) north of Helena. 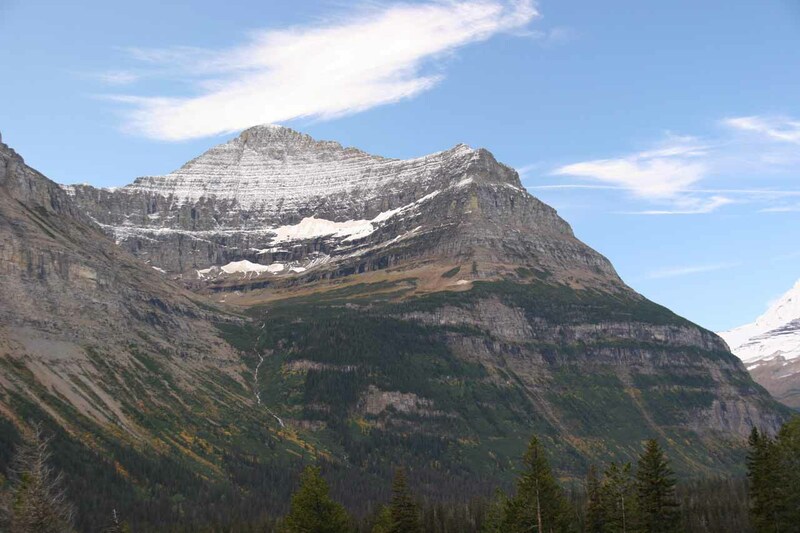 West Glacier was about 28 miles (40 minutes drive) east of Whitefish, 35 miles (50 minutes drive) northeast of Kalispell, and 140 miles (over 2.5 hours drive) north of Missoula.